The revitalized logo features a three-dimensional circle that symbolizes the depth, flexibility and strength of Careington’s product portfolio and administrative service platform. The outer arc of the circle embraces the inside arc, representing how Careington’s employees care for the company’s clients and their customers. 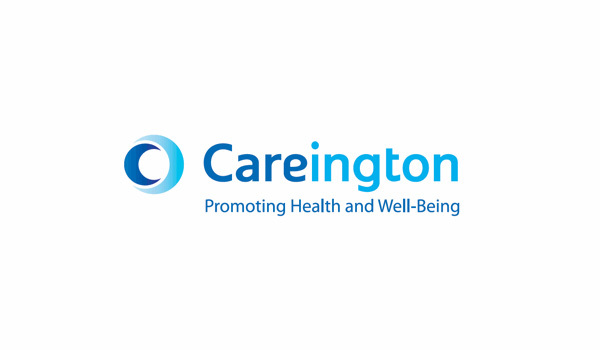 The new logo includes key elements of Careington’s original logo such as the bold type of Care, while the tagline remains ‚Promoting Health and Well-being‘ to emphasize Careington’s commitment to ensuring the health and well-being of its customers. ‚Careington’s caring spirit is the foundation of our corporate culture and the basis of our commitment to providing deep cost savings on health care services, superior customer service and account management. Simply put, it’s our company’s caring attitude that touches all of our constituents,‘ said Williams. Careington partners with the most respected provider networks nationwide to provide customers with substantial savings on a wide array of health care services, including dental, medical, pharmacy, vision and chiropractic, as well as access to online medical information and a 24-hour nurse line. „Careington’s products and services provide valuable savings on a range of ancillary services not typically covered by insurance and on physician services for individuals who have no insurance or limited benefit plans,“ said Williams. Careington also works closely with businesses and organizations to develop custom discount programs that complement the insurance plans in their benefits packages. Careington supports the entire administrative process, including managing group plan setup, billing, customer service, marketing support and fulfillment. ‚Over the past 29 years, Careington has grown from an independent discount dental network to a leading provider of health care discount programs that are used by more than seven million members nationwide. It is important that all individuals have access to quality health care that they can afford, and we will continue to develop new products and services that address this need as the health care industry evolves,‘ said Williams.